Have you ever tried to imagine your home through the eyes of a guest? As if I were a visitor in my own home, I stood just inside the doorway to our house. I tried to imagine what you would see if you came for a visit. My back leaned against the front door and my eyes struggled to be fresh again. I saw the colors I love — the greens, yellows and reds. I notice on the walls of the entry-statement artwork which appear to be a jumbled combination of prints from Hobby Lobby, Kirkland’s or antique stores. I smile when I whisper to myself, “pick a designing lane, Eleanor.” Then I focus on my most recent obsession — leaded stained glass windows. Two of them hang in our foyer, near the HOPE sign I picked up from Michael’s. I shifted my weight from one leg to the other and listened to the Grandmother clock tick. I decide that I’ll wait for the chime on the next quarter hour. A personal challenge of being still long enough to feel what I’m feeling. As I wait, I’m satisfied that old mixed with new seems to work in this space. At least for us, it does. But looking past the obvious pieces...taking a moment to see more than the furniture, the art, or the floor design layout, I began to notice the home. I’m no longer a visitor but a mother with her memories of toddlers running the track loop of the kitchen - the dining room - the foyer, again and again. I remember my son coming down the stairs in a jacket and tie for his first homecoming dance and wince when I remember the part of the night that ended in his first real heartbreak. I think he’s over it but my pain still feels sharp in my chest. I remember my daughter coming home from her first sleepover- dragging her bag and clutching her pillow then dropping them both and hugging me so tightly. I can still feel her tears on my arm. She was brave. She had a good time but she needed the release of relief of being home. I see the notes on the fridge reminding us of ACTs and upcoming college visits. The boy child’s car needs an oil change. The girl starts drivers ed soon. The calendar full of adult things my teens are scheduled for but to me they still feel like they’re 7 and 8. I can imagine them even younger, dressed in their best while sitting at the piano, pressed side by side waiting to go to church on Easter. Their tiny little fingers exploring the out-of-tune notes and giggling at the funny sounds they created. How many times have we laughed in this house? A lot. When have we cried? Probably a little more than we should have....but we found healing. Been angry enough to slam a door and rattle the prints from hanging straight on the wall? Hopefully a lot less than what’s normal these days. A visitor may find that our house looks presentable even if it’s a little dog-hair-dusty. Welcoming, even if there’s not a ton of snacks, but they there’s no way they can see all the memories made here — but hopefully they won’t overlook the love. Who's Beside You When You're Facing the Fire? How was your first Monday of the year? I don’t know about you, but today feels like the real first day of 2019. It’s the start of a week without any half days or holidays. This week is a wide-open mouth to the new year. My first Monday was better than I expected but in order to explain just how Monday, this Monday was, I need to begin with the end of last week. Friday was tough for me. Just horrific. I’m not a supporter of Facebook Vague-booking, but to respect the privacy of others, I cannot release specific details about why my Friday was beyond miserable. But I will tell you that something happened – and I hoped against all levels of hope -- that it must have been a gross misunderstanding and unfortunate break-down in communication. The whole event left me feeling humiliated, devalued and unworthy. I felt cast aside. Good God it hurt. It was that awful stinging sensation where it feels like electricity was running through my chest. I was in shock. I spent the rest of my afternoon and evening ping-ponging between rage and shame. On Saturday, I traveled without my husband and kids to meet my sisters in the North Carolina mountains for the memorial service of a close family friend. The Cherokee woman who passed was more than a friend, she was family – like a cousin maybe – she was extraordinary. In the early 1950's, our mothers were in nurses training together and they’ve been friends ever since. Nearly 67 years. Their lives mirrored one another. Each of them was married almost the same length of time before they lost their husbands to different types of cancer. Each of them had three daughters. We may not have been related by blood but were most certainly connected by heart. The memorial was a moving tribute to our friend who was young and vibrant, a relentless advocate for all things just, and a talented artist. Remarkably, her final works were purchased by the Smithsonian. Her early death rattled me. After the service, I had dinner with my mom and sisters. Our lives, normally separated by miles and different states, joined as we ate together and reconnected. Isn’t it amazing how births, weddings and deaths bring people together? It’s a reminder of how life gently nudges us to connect when we can. I explained how awful my Friday was. How humiliated I was. I admitted that my complaint seemed even worse now and it embarrassed me to share it with them today, of all days, considering we had just said goodbye to our friend. I told them the unfortunate series of events and they listened to the story. I couldn’t help but notice the motion of our eating felt decelerated. It was like our table and the air around us was encased in gelatin. I would drag my fork over the crab meat and flounder. One sister would use her finger to catch the condensation from her water glass, the other would move the centerpiece and dish filled with pats of butter just so, out of the way. They were listening. They were hearing me. I needed their advice and I needed their presence and they gave me all of it. One of the honest benefits of confiding in your sisters is that they won’t tell you what you want to hear. They will lovingly tell you what you need to hear. It wasn’t easy listening to their view of my awful, terrible Friday. Some of it I didn’t want to hear, but it helped me to look at the situation from another angle and appreciate that my lens was not the same lens of the other person. My perception doesn’t necessarily align with their position. My truth may not be their truth. It was a powerful conversation and I was grateful to my sisters for it. I drove the three hours home and thought about everything they had said. It was late when I got home so I kissed my husband, hugged my teenagers – surprisingly they allowed the affection -- and collapsed into bed. I was asleep in seconds. Sunday morning, I woke up and determined I needed a full day of rest. A day of absolutely nothing and zero requirement to accomplish, check off or plan. I wanted to not worry about anything for an entire day. I wanted to empty my mind from the frustrations of Friday and my sister’s solutions from Saturday. I wanted to just – be. I needed to let go of it all and allow things to settle. I wanted to amble around the aisles of a local antique mall and just get lost in all the curiosities of the booths. My husband enjoys the search for vintage oddities, so I asked him to join me. I needed him to be with me. He knows he helps center me, so I needed this time with him. We talked and strolled and explored the problems in a relaxed, nonjudgmental way. I was able to talk about the issues without extreme emotions. I was settled. I was discovering how I felt, but also considered how the other person may have perceived what happened. It was peaceful. Even though Friday was contentious, Saturday and Sunday waves were smoothing it over. That’s when I found this print. It was tucked behind an old radio and ceramic figurines and it captured me as soon as I saw it. The couple dressed in their finery appear sad – the woman more so than him. She seems melancholy and thoughtful. Maybe he’s being comforting and supportive. They stare into the fire in a modest cabin and hold each other. Something has happened. We don’t know what it is or why the artist felt compelled to capture it, but I was captivated. The longer I looked at the print, the more I wanted to come inside their home. I wanted to sit on the floor near the hearth and ask what was troubling her. Before I realized it, I felt a cold tear slip off my cheek. My husband moved beside me and studied the print. He told me to get it. He said it speaks to you – get it. I set it back on the shelf and said, I love it. I really do. The woman looks so sad, but not today. So, this brings me to my first Monday of the new year. The misunderstanding I thought I had with the other person found brilliant clarity and the problem I thought I had disappeared. The person had not had a change of heart. All is well and I am grateful that what I thought was bad turned out to be just as it should be. I was so happy that found myself driving back to the antique store. I bought the print I found yesterday. The woman in the painting will always remind me that sadness and melancholy will come and go but staring into a fire beside people who’ll weather life’s storms make it all worthwhile. The house is clean and the decorations are put away for another year. The laundry is done and the tags have been snipped off of everything new. There’s a fresh pallet - a clean slate - a new beginning. Do I contemplate what will be? What’s on the way? Will I remember everything I accomplished - or focus on what I didn’t? Here we are: Standing on the edge of everything that happened and everything that will be. The end. The last day of the year as it fades into the beginning of a new day, a new year. We forget it uses the same amount of time in any other day. Isn’t that what happens every morning? Can’t any day be the beginning of something new and the end of something we will move away from? Why do we put so much pressure on ourselves on this day? Is it because the calendar flips? If that were true then we would feel it on our birthday too. Our kids birthdays, our anniversaries. Our year is ending and we wait as a new one begins as if time doesn’t matter all the other days of the year. Do I celebrate all that I did and have, or make a list of all that I still want and think I need? Will I be grateful for all the things someone else wishes they had? I ask myself what do I already have that a woman across town or around the world prays for every day? It stops me. A sharp intake of my breath. The peace and contentment slips away as fast as sand in the glass. The year ends. I keep driving for more. Pushing for better. I make a lists of goals, deadlines and dreams. Will I be satisfied next year? Will my dreams come closer so that I can see them better with my aging eyes? Will I finally become the person the little girl inside of me thinks I am? When Your Son Plans His Own Study Schedule - You've Done Something Right. It’s Saturday morning. Still early and dark. I’m in our kitchen and only have on the light in the pantry so my tired, bleary eyes can adjust. I’m waiting for the pot of coffee to finish and deciding whether or not I can interrupt the brewing long enough to pour myself a cup and not make a mess. I look up and notice something on the kitchen table that wasn’t there last night before I went to bed. It looks like a note at my son’s regular place at the table. 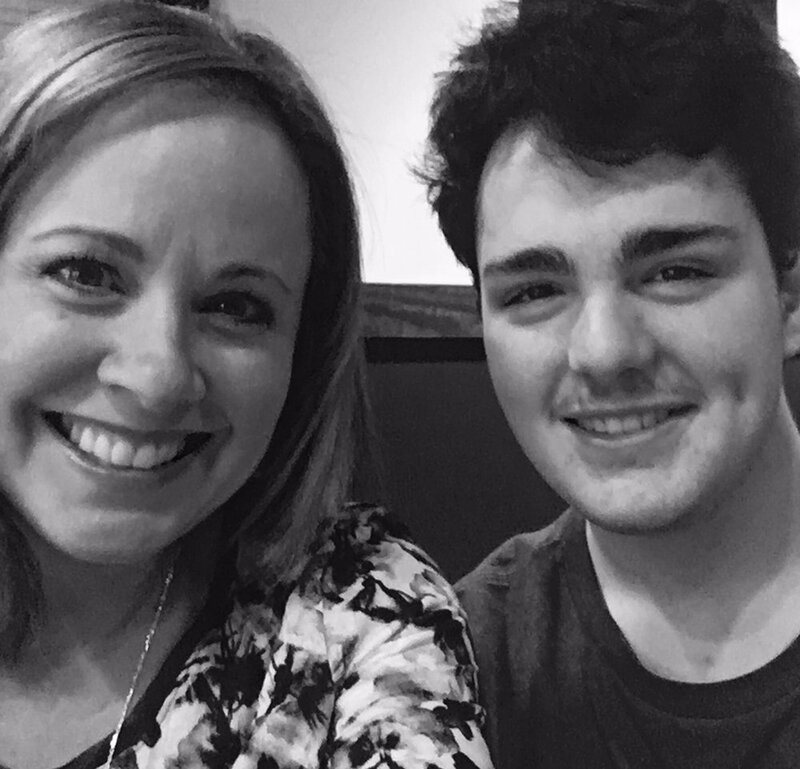 For just a moment, I thought about how much time I have before he won’t be sitting at his regular spot at the table because he’ll be away at college. He’s a junior and my time with him sitting in that chair, telling stories and inhaling my dinners is limited. The coffee isn’t ready and I consider getting a Keurig so the coffee process wouldn’t take so long. I walk over to the table and recognize my son’s handwriting on two sticky notes pressed together. He’d written more than one note could hold. I squint my eyes and focus on the masculine, micro-scrawl when I realize that he’s made a Saturday exam study schedule. Every hour and half hour is designated for specific subjects as well as reasonable breaks. I hear the beep announcing the pot has finished brewing but keep looking at his schedule. I’m impressed that he’s self-regulated his Saturday and imposed a tight study schedule, but a bit melancholy over missing the sleep late and lazy days of his adolescence. I leave the note just as I found it and head to the coffee pot and pour my first cup. I’m proud of my son. I can’t wait to see what he does with his remarkable life and watch him grow into the man he is destined to become, but there’s a big part of my heart that wishes we could wait just a little while longer for the responsibilities, schedule and adulting. ✨I’ve blurred his note for his privacy. Yes, I’m heavier than you remember, but you haven’t seen me — really seen me — in years. There are a few things you missed when judging my picture (and me) so I want to give you another chance to look again. What you don’t see is that I’m 20 lbs lighter than I was 3 months ago. What you don’t see is that my lifestyle changed. I make better food choices, haven’t had alcohol in months, go to the gym and work hard to hit more than 10K steps a day. What you don’t see in that picture is that my pants are two sizes too big for me. I had to keep hitching them up before and after ax throws. What you don’t see is that I haven’t had the time or the extra money to buy more pants in my new size. I’ve been raising my teenagers, working two jobs, volunteering and pursuing my dream as a writer. What you don’t see in that picture is my future. I will lose even more weight so I’ll wait until I reach my goal to buy more pants. I’ll hit that bulls-eye before you know it. There’s no way you can see every single time I wanted the bread, the dessert, the second helping but I said no thank you and pushed away. I’m developing my will power and it’s getting stronger. I’m certain you didn’t mean to discourage that did you? What you don’t see is that before this picture was taken, I had been wearing a bulky, fuzzy sweater and an adorable matching scarf. There’s so much comfort in covering up a body that’s changing and finding its “fighting weight” again. But that night I had to shed my protection of clothes and get down to my T-shirt because my competition was fierce and I had less than an hour to learn this new ax-throwing skill. I wiped the sweat from my forehead and pushed the hair out of my eyes. You didn’t see all of that in this picture. What you don’t see is how happy I was to be out with friends. You missed the part where I participated in a physical activity and doing it well enough to win a few throws. So, to the person who tried to make me feel awful about this photo, please look again. There are things about me you didn’t see. I have this ummm, some say weird habit when my kids leave to spend the night elsewhere. It doesn’t matter if they’ll be gone one night, a weekend, or a whole week for summer sleep away camp, I still do this thing. My kids are 16 and 15 and I’ve done this strange ritual for years. Years. My daughter left for a choral retreat and she’ll be gone all weekend. So I’m doing my thing. I rip off her sheets, wash, dry & put them away then make up her bed with fresh sheets and bedding. Like a hotel room (sort of, but cleaner.) I do the whole “hotel-y” thing....I smooth the comforter edges, I fold down the top sheet just so, I fluff up the pillows and straighten the nightstand and turn on the lamp. I cannot help myself. It’s a sickness. It’s an indulgence. A weakness. A throwback to Suzy Homemaker. I don’t know. Whatever. I do it anyway. I delight in climbing into fresh sheets on my own bed after I’ve been traveling so I figured they would too. Monkey see. But there’s a bigger reason I do it. And I’m gonna try not to cry when I write this. Oh, who am I kidding? Several years ago, our family attended the funeral of a woman we adored. She had two adult children but they literally were beginning their lives — just finishing college and they weren’t married. These kids were finding their way and then suddenly their beautiful mom died. It was tragic and unexpected. At the funeral, one of the children recounted a story about her mom fussing at her to straighten her room. She told her to clean her room, empty the trash, make her bed and take drink cups back down to the kitchen. Her mom would call her by her full Christian name and say PLEASE clean your room before you leave!! And of course she never did. But...when she came home, her bed would be fresh, the clothes would be picked up and the cups magically relocated to the dishwasher. This young woman choked up when she remembered that her bed would be turned down and her light would be on and she knew she was loved and missed whether or not she’d cleaned her room. Now please don’t misunderstand me. Kids should clean their room. I’m not saying that mine never clean because they absolutely do. And I’m not suggesting they shouldn’t wash their own sheets and make up their own bed because they have to learn this basic life skill before they’re launched into the world ....but c’mon....welcoming them home?....a clean, fresh bed to crash into?....a comfortable place to land?....a knowing that they are loved and missed? Sign me up. All day long. Have you had a week like mine? I’m gonna’ be real here....This hasn’t been the best of weeks in our home. Our family unit has rallied. We’ve persevered. But along the way we’ve struggled through difficult and painful adversities. Just like you, we are a family of *we* so when one of our family four pack crashes down, the rest of us inevitably have the gravel on our hands and the skin ripped off our knee. We all feel it. In the same week, we’ve been isolated and passed over, then whiplashed into the glare of harsh spotlight we didn’t deserve. We’ve felt abandoned by those closest to us and struggled to make the friend connection we thought we had. We’ve been challenged by our own shaming self-talk and questioned our contributions in our tiny part of the world. We’ve climbed over mountains of embarrassment, trudged our way through hurt feelings, fallen into various pits of despair and still managed to dig our way out of all of the mess, the hard conversations, and finding the good in the bad. We are here even though we’ve had a few days of feeling like “would anyone care if we weren’t?” We are mending our battle scars and hoping for better. That’s all we want. Not great. Not outstanding. Just hoping for better than the last few days have been. Today, I came home from work at lunch and spotted this Azalea bloom in our backyard. It’s been raining so you can see the raindrops on the petals. We live in the south but it’s cold and November. This bloom would not be denied its moment. It came through and bloomed on a bush...alone. Every thing in the yard is either dead, or dying or covered in leaves but this Azalea said I’m not done. I’m still here. I will bloom despite the adverse conditions. We will find a way to focus on all the good instead of the bad. We are grateful for the trials because they give us strength and perspective when times are harder than this. We thank God for loving our family and we thank Him for the reminder that blooms happen in His time, not when it makes sense to us. The other day I didn’t tell you that your eyes snagged my heart again. I never mentioned that your eyes were the color of an ocean and the gray shirt you were wearing made them pop just a little more than usual. For only a moment, I felt like I was looking at your eyes brand new as if more than 20 years between us hadn’t existed. My heart noticed but I didn’t tell you. I couldn’t tell you that day. I refused. I wouldn’t tell you that the warm, morning sunlight flickered in the center of your eyes and I was struck by how stunning they were. My heart fluttered. It actually skipped a beat just like it had so many years ago. Your eyes took my breath away but I didn’t want you to know that I even noticed, or cared. We were sitting across from one another on a weekend morning. Which day was it? I can’t remember now - Saturday or Sunday? It was Sunday because we were out of town with the kids on Saturday. My decision not to tell you began on the drive home even though I wouldn’t realize it until the next day. The truth that your eyes still get me sometimes was removed from the list of things I would share with you. But when I sat across the kitchen table from you that Sunday morning - after spending more than two decades of our life together - I refused to tell you that your eyes were so damn pretty, because I was furious with you. Does it even matter why we were frustrated with one another? Do the disagreements change over the years or are they the same ones for new situations? I know couples get upset. They argue. Sometimes they work together and talk it out. Other times, they choose to ignore each other until the feelings pass or they are too tired to care. I’ve always said that it’s safer when I’m irritated because it reveals I’ve got at least an ounce of the give-a-crap left in me. If I shrug and say, whatever...I’ve reached the end. So on that Sunday morning, I hadn’t reached the end of us. I’m able to count on my right hand all the times I came to the end of us and you rescued me from drowning in my last drop of sorrow. Your relentless will to keep us together pulled me from the depth of my mourning. I had to say goodbye to my idea of our relationship that we never had. We aren’t a fairytale and marriage isn’t as easy as my parents made it look. I wonder how often you don’t say something to me when you’re mad. Do my eyes catch your attention when they’re underneath the umbrella of my deep set frown? Was there ever a time you wanted to bust out laughing when I misspoke in an argument but held it in because you knew it wouldn’t end well? If I would’ve told you that your eyes - got me - then I would’ve lost. I would’ve lost my argument. My point. My side of the story. All of my validity would’ve been erased. If you had the upper hand, my credibility would’ve been shot. Your beautiful eyes would have crinkled around the edges. You would have recognized my disadvantage. You would’ve smiled that handsome, convincing look and I would’ve been lost in the sea of them. But I was strong. I believed my argument was worth the fight. My anger was valid. My point was made. I could not give in to a moment of weakness. It was too important. Even when I saw you later when we were putting up the laundry, something tugged inside of me to tell you that your eyes make me crazy sometimes. When I passed the dinner plate, when you made our daughter laugh, when you encouraged our son after a bad day, I thought about letting you know that your eyes were so handsome that morning. When you came to bed and said, “Goodnight, I love you.” I almost said it then. Pride and the desire to be right made me miss out on the connection with you. Vulnerability is a strength that I’m afraid to master. My heart wanted to say something about your eyes, but my mind and mouth refused. But I’m saying it now….Your eyes get me sometimes, even when I’m mad. You know I posted this earlier today but took it down after my words sat on the page lonely and unattended for like two hours. I thought oh well, they can’t all be read...and honestly my timing was all wrong since I launched it when all you mamas were busy getting ready for trick or treaters! But THEN I received a private message from a reader who said “Where’s the post? I can’t share it!” She went on to explain how much she related to the story. Wow. If it meant something to her ...even one person....then I’m glad I wrote it. C'mon, go through the whole Haunted House with me....then share with a friend. On an average day, how many of you wear about 13 different masks depending on who’s around you because you're afraid of not being liked? The mask that hides your face as you bite down on the soft, fleshy part inside your cheek when you’d much rather growl at the person talking with you. The mask that helps you laugh it off when someone jokes about something you did for the 57th time but it embarrasses you? The mask that covers your insecurities and doubts from whether or not the person online or at work really likes you or if they’re just tolerating you? God, it hurts so much not to be liked. So we put on a mask and people won’t know. We mock bravery from all the spooks and goblins tormenting our positive self-talk. Down deep inside of us, we value what we offer to the world, but we’ll show others how we can shrug it off when they don’t think that much of it. We make our faces bright and cheerful and we hope for better the next day from the next person. Our heart believes that if we encourage and support others that encouragement and support will be returned. But it isn’t. Not all the time and life won’t always give back what you give. At least, not in the same way you think it should. There are a few memes making the circuit on my news feed lately about frenemies. You can't be sure if they have good intentions and kindness or if they’ve got their own mask snuggly fitted and they’re growling at you behind it. Surely not, our heart reconciles. Our mind struggles to meet our heart on the same page. Okay, okay, we tell ourselves. They do care. And, on the other side of that - are we just being polite or do we really care? It’s way easier to know who we don’t like and who doesn’t like us back. Even though we’re afraid to admit that it hurts. But hurt feelings when you know what you’re dealing with is so much better than uncertain feelings you constantly work to figure it out. The feelings you have to mentally sort. Decide whether or not they are being completely earnest in their friendship. It's why we are worn down and too tired to even try. We have trust issues with new friends and it’s easier to keep the old ones at a distance so we can keep an eye on them. Size them up. Decide if they are a good witch or a bad witch or not a witch at all. Will they really be kind and encouraging to me? Will I be for them? I think this is why people - especially women - crave true, honest, heart-wide-open relationships but we’re terrified of all of it. I know that we’ve had friends who we could call on and say, "I need you. Please help me." And we’ve definitely had our share of friendships only because it’s convenient to hang out when our kids go to the same school or we’re in a group at church. I think what happens is we open the door to the Haunted House of Friend Relationships and decide it’s too scary and we run and hide. But here’s the best part of this scary story. IF we're brave enough to go through the motions of kindness then the practice will become a habit. If we behave like a true friend and a true supporter then eventually we will feel the rewards of that for ourselves. I think we have to make our way through the whole thing - the whole relationship - the whole haunted house to determine whether or not it is good or bad. We are letting our fears get in the way of something much stronger and truer. When we don’t go all the way through, if we only manage a couple of spooky rooms and we stop. We say this is too much and we can’t do it then we haven’t seen the relationship to the end. We haven’t given it a chance. If we keep going, we might find the people who walked with us through the scary parts are the ones we’ll have on the other side. That’s where you’ll find your true blues. Not everyone who starts the Haunted House with you will finish but pay attention to the ones who did. What they look like after the mask comes off, may surprise you. When my son was born, I stayed at home with him. I was a new mother, I knew zero moms with babies, we had no family in town and my husband worked so it was just me and my little boy. And I was fine. I really was. I enjoyed being with him, watching him grow and change every day and I considered myself fortunate to be able to stay in comfy clothes all day even if they had various baby stains on them. I loved every minute of it. I was content. Until I wasn’t. After several months, I started listening to everyone else - friends, family, commercials, magazine articles - whatever - that indicated that my son and I needed to get out, socialize, and have play dates. So I looked and one of the first places I found was KinderMusic. It was a good fit for my son and my introverted self. We loved music and it was only for an hour or so once a week. But then it wasn’t enough and I started listening to ALL the others again. I began questioning what was in my son’s best interest. Even though he was hitting all his development marks and the pediatrician said he was in the healthy percentile range, I thought maybe I wasn’t giving him enough. Then there was a neighbor across the street who had daughters older than my son by a few years. I’d seen her around but never introduced myself. So one day this lady knocked on my front door. She had one daughter on her hip and the other one had her arms around her leg. She invited my son and I to come over and have a play date and we could get to know each other. I was shy and uncomfortable and feeling weird about all of it but I thought God was answering my prayers to do the right thing and socialize my son. A few days later, my son and I showed up at her home and I brought chocolate chip cookies because...well, kids love cookies and I’m Southern and you’re not supposed to show up empty handed. The kids played on her living room floor, ate a few cookies and we chatted. It wasn’t completely awful and we got through it. My son seemed to interact well with the girls and I did my best to help move along the awkward get-to-know you conversation. We survived and I was grateful I had the chance to do something good for my son. The next day, she knocked on my door. I was stunned and embarrassed and feeling so weird about having a gift returned that I didn’t say anything except “oh, okay...thank you.” She smiled and said let’s get together Saturday okay? We didn’t get together that Saturday or any other time. My son and I found other groups and activities and he developed exactly as the Good Lord intended. It wasn’t that she returned the cookies, or that the kids didn’t play well...it just didn’t feel like a good fit. Not every opportunity to connect is the right one and trusting your intuition about what works for you and your family is paramount. I didn’t want to feel obligated to the convenience just because it was a play date across the street. Follow your inner voice, listen to those whispers. It may tell you to keep seeking out others and encourage you to make new friends...or sometimes mama...it may show you that you’re doing just fine because you’re content. Who Says THAT about Teenage Boys? Who says teenage boys are full of themselves? Who says guys in the deepest trenches of puberty are self-centered and careless with words and emotions? Who says young men on the doorstep to adulthood don’t understand social issues, politics or the difference kindness can make to someone else? My son finished his ICE drink when he was at work. On the way to the recycling bin, he found a discarded flower near the trash can. 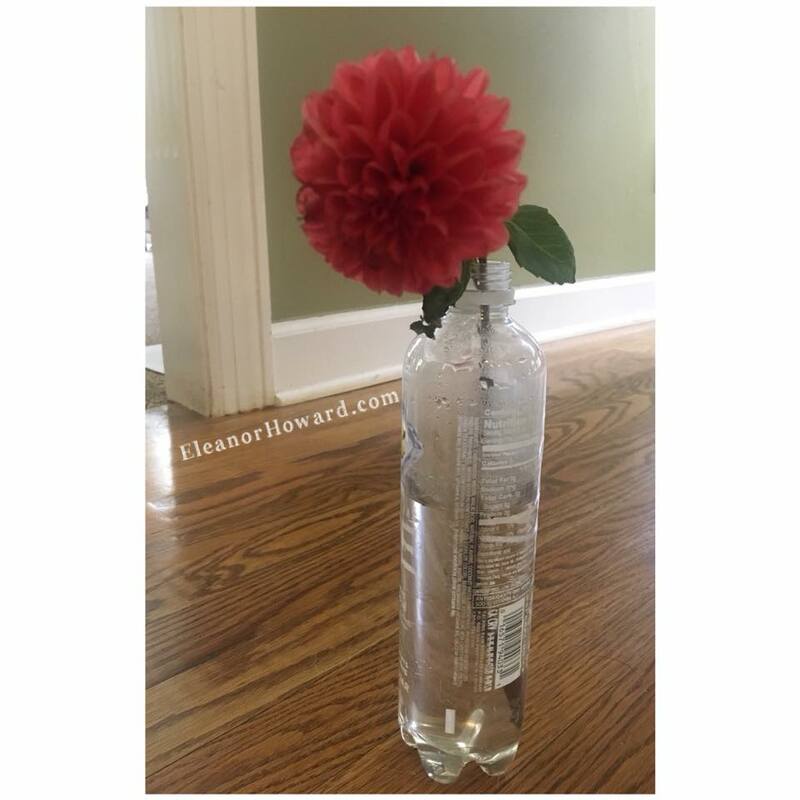 He filled up the bottle with water and placed the dying bloom inside. After work, he brought it home to his little sister. Who says young men don’t have the capacity to express their feelings, show compassion or offer a kind gesture? If we want to raise up men who are gentle and thoughtful, make sure you pay attention to the little things and tell them those things are the best things. Her hand covered my eyes. I remember it now as if it hadn’t happened over 40 years ago. I could only see sunlight through the separation in her fingers. Rosy bits of light illuminating the outer edges of her skin. I was sleepy and yet I was fascinated by the way the light moved around her fingers. It was mesmerizing like watching a muted kaleidoscope. I wondered if she could feel my eyelashes - feathering as I opened and closed my eyes against the inside of her hand. I blinked several times, creating my own sister Morse code, to see if she would react to the downy sensation. We were in the front seat of an old, green Chevy Impala. I’m not sure why I can recall what type of car it was but I was the baby in the family and Daddy’s tom-boy. I loved the time spent with him when he tinkered with our cars. Our mother was driving but I don’t remember where we were going. My body curled on the bench seat, my toes barely touching my mother’s thigh. My head rested in my sister’s lap with her hand covering my eyes from the afternoon sun. I remember being so tired and wanting to go to sleep but uncomfortable as the sun stung my eyes. Leslie told me to put my head on her lap and she would cover my eyes. It’s one of my earliest memories of her loving me. My sister is 8 years older than me and the middle sister in a set of three girls. We haven’t always agreed and we haven’t always gotten along but there are differences in who we are and who we’ve become that I’ve come to love. It still amazes me how siblings can be raised in the same house yet different personalities and truths emerge. As an adult, I think of her now, this moment, today. That car ride with her hand over my eyes and the Bible verse, Exodus 33:22. (NIV) When my glory passes by, I will put you in a cleft in the rock and cover you with my hand until I have passed by. Leslie loves our Lord. Today my heart goes to her across all the miles that separate us. I wish I could cover her eyes and hold her head in my lap and show her how I can love too. We can know that the light of God is too much for us but He places us in safety, passes by during the struggles and trials of our life, and allows us to glance at His Glory through the protection of His hands. Just as the sun stings our eyes when we look directly at it, God’s presence is too much for us, but His grace allows us to know that He is there. And He IS there. He is with you Sister. Little did I know, that this story would begin over 4 decades ago when I pressed my head into my sister’s lap and she covered my eyes with her hands. I was meant to feel that comfort, just as she is meant to feel the protection of our Lord right now. Saturdays are when I typically plan our family’s weekly meals. I don’t go ALL-OUT and plan for the month like a hair-net lunch lady because who would do that? But my family rebelled against it when they couldn’t answer what they’d want for dinner on the fourth Thursday. So I spend my only sleep-late day, that’s not really late at all, with my cup of coffee, a grocery store flyer, my pen and legal pad and review all my coupons (paper and digital.) But this post is not about groceries, clipping coupons or crazy list making, so my opener is a little deceiving. There are months that are harder than others to make ends meet. When it’s a struggle to pay all your bills, fill up your car with gas and still have money left for groceries. It’s like a weird tug-of-war with the hard pull of needs and the difficult review of wants. A WANT must be a legitimate WANT that lives super close to the border of NEED. Like shampoo. We don’t need shampoo, but washing our hair with bar soap gets old...and frizzy. So when it comes to planning a grocery trip, sometimes there are weeks when we have to be even more frugal than usual. Today was one of those days. There are ways I help curb the number of items landing in the buggy...by the way, do you call it a cart? I’m from the south, Greensboro, North Carolina to be exact and it will forever and always, amen be a buggy. Anyway. I have this thing I do which is pre-shopping in our pantry and freezer before I go to the store. I try and make as many meals as possible with what we already have. If no oddball meals can be generated then you must move to the second phase and try adding only one ingredient. It’s like a game. Say you have ground beef, sliced cheese, and condiments, but no buns or lettuce. This is a big win because a head of lettuce and pack of buns won’t be a lot of money. This method of meal planning takes a little longer, requires a bit of creativity and a lot of flexibility with what you serve your family. Because hey, we might be out of fries but enjoy a few Cheez-Its. This post is STILL not about groceries so I need you to stay with me. As I’m going through our current provisions, I dig deep in the freezer and find this Cool Whip Container, wrapped in a knotted Wal-Mart Plastic Bag, with a label that reads Danny’s Spaghetti Sauce. I think my God! I forgot this was in here! Danny’s mom made his favorite sauce. All I need is a box of pasta and I’ve got another meal. Mother-In-Law for the WIN!!! It’s the last batch she made. My mother-in-law recently moved into a skilled nursing facility and her days in the kitchen are over. My husband Danny, is her only son. She’s made his favorite spaghetti sauce a special way since he was a kid. I never paid attention when she was making the sauce - and I should have - but then again - Danny should’ve too. His mom is not Italian. As a matter of fact, she’s lived in the same small Appalachian mountain town her entire life. So this spaghetti sauce isn’t some generational hand-me-down sacred secret recipe but it’s what my husband grew up on and it’s a good memory. I’m not going to use her frozen sauce hidden in a cool whip container, wrapped in a Wal-Mart bag anytime soon. I’ve tucked it deep into the freezer and we’ll save it for another day. Today’s not the day. We’ll find another way to save money and get creative with our meals. And the next time we visit her, I think I might ask if she remembers how to make her spaghetti sauce. It’ll be good for her to try and remember and it’ll be good for my marriage if I can come close to her recipe. What food would you love to have again? Who made it? How many promises to yourself are you going to break today? Think of it this way — we avoid letting other people down so we do everything we can to make sure that we appear loyal, dependable and reliable but that seriously makes us sound a little like an appliance. YOU are waiting on YOU. You are teaching yourself that you can wait. But you’re tired of being let down by YOU while waiting on another promise that ends up broken. You end up at the back of the line and you’re sad about not being valued by yourself. How would your life look if you started keeping promises to yourself? Others will notice and respect you because you respect yourself. I hear you and I understand. Honestly, I do. Women understand universal struggles and the problems that everybody deals with sooner or later. We just forget to lift our head up and look around at others who might just be starting what we survived. Whether we actively support one another or not, we understand you have a lot going on in your life. You know why?? Because every single person pulling themselves out of bed eventually feels a leaded weight on their heart and hears hostile voices in their head. We all do. We know what you’re facing because it’s in everything you post (or don’t post.) We see how consumed you are at work. We see your weary bones taking care of your little ones. We can tell how distracted you are at the grocery store. We see your worried expression in the rear view mirror in the car pick up line. We see you. We understand you because every human has a little piece of another human’s struggle. We have common ground in many things but we forget that others have problems so much like ours. But you know what else we have? Because somewhere, someone has faced what you’re facing. Right this minute thousands of others have either just completed or dragging themselves through the struggle’s finish line. Maybe you’re facing something you’re overwhelmed by or maybe you just overcame a problem that at first you thought was insurmountable. Either way, pull up to the table and join us. We need you. All of you. Every single one of you has survived something that someone else is paralyzed by and can’t bear to face the thousands of steps to get through it. They’re terrified of the first few steps. But you know how and you can help her. Someone else has an answer, a short cut or a tip. Someone has made the journey you’re afraid to begin. If you’re struggling with something let’s make a connection and start the conversation in the comments. Someone will know who to call, what to read or where to start. When we ask “how are you?” let’s really listen. Last night my husband and I argued. My words were unproductive and snippy, his were frustrated and a notch louder than necessary. We were the only two people in the car so I could hear him even though I was not listening. I pressed the right pedal past 80 mph hoping to drive away from this stupid conversation. We could not find common ground on anything. Not one thing. We gave up. We stopped talking and rode in silence for what seemed like forever. I’m uber stubborn and wasn’t about to give in and talk first. He was staring at his phone anyway and probably enjoying the quiet. I was playing a ridiculous childish game with myself— if I talk first I lose—but I think we both lost because we weren’t even trying. We arrived at the venue and had to communicate about other things. Did you have the tickets, where should we park, do we have time to grab a bite before the event? Our conversation was practical and efficient and easier since we didn’t have to talk about our future past the next half hour. Several of you know me personally but most of you know me based on what I post online. I try to be authentic and as close to real as possible. The next part of the story shames and embarrasses me but I’m not sure what to do about it since my brain has been wired this way since childhood. I’m not sure how to de-program what I’ve known since I was in elementary school. The first time it happened I was watching a movie on the floor of the library with my third grade classmates. It was a story about a young girl who was thrown from a horse and her spine was damaged. The scene was a hospital room with this girl strapped to a bed, head, chin, shoulders, arms, waist, thighs, ankles anchored to the wiry, metal bed then flipped over so she was facing the floor and they could operate on her back. They never showed the surgery but the camera zoomed in on her terrified face just before the anesthesia set in. That’s when it happened to me. I got hot so fast I started sweating. The room was spinning and I tried to stand to leave but my legs were unstable and wobbly. I collapsed but was determined to get out of the room and away from the disturbing medical sounds coming from the movie. I remember trying to crawl around the other kids, sweat dripping off my forehead and nose. I managed to stand and kept thinking I want to get out of the room and press something cold against my body. I was so hot. I remember falling outside the door of the library’s media room onto linoleum and that it was cool against my face. I woke up in the nurse’s office. Over the years, I’ve fainted many times. My triggers are certain detailed medical situations. I’ve rallied through the birth of my children and successfully cared for my husband after his eye surgery and shoulder surgery but the less I know about specifics the better. We went to a book signing of one of my favorite authors Jodi Picoult She has a new book #aSparkofLight and it uncovers both sides of the controversial topic of abortion. You can keep reading, I’m not offering an opinion, I’m just explaining what happened. But that’s when I got hot. I didn’t hear anymore. I was trapped in the center of the row and the exit door seemed a football field away. I fumbled in my purse for mints and rattled open the cinnamon Altoids. It didn’t help. The sweat was matting my hair to the side of my face and the lights were swaying. Danny looked at me and asked if I was okay but he knew the answer. He cleared the aisle and started quietly whispering to our seat mates to make way. As soon as I hit the lobby I saw a sofa and fell onto it. I was hyperventilating and dizzy. My shirt was soaked. I knew I would blackout soon. The ushers came over and asked what I needed. My husband said, if you’ll get her a cup of water I’m going to wet some paper towels in the bathroom. He looked at me and said I’ll be right back. And that’s the point of this entire story. Danny comes back. Even when we disagree, he comes back and reminds me why I fell in love with the guy who knows me and loves me through all of my idiosyncrasies. Had I been alone or with anyone else, I would have been more anxious and distraught because I’d have to explain what was happening to me. Because he knew, I knew he was in control of my needs and I could focus on recovering quickly from my episode which lasted about 8 and half minutes. I cooled off, drank the water, and pressed the wet paper towels to my head and neck. He sat beside me and searched my eyes for me to come back to him. And I did. And at that moment I didn’t give a damn about what we were arguing about earlier. ...recognition or affirmation that a person or their feelings or opinions are valid or worthwhile. Validating another human being does not lessen or weaken your position. It gives another person - value and worth. Isn't that a beautiful concept? Validation acknowledges that we've heard you -- that we've seen you. We are saying aloud that your voice and opinion is worth hearing and sharing. Who can you validate today? Who is standing in the shadows afraid to be heard? How can we celebrate and support one another without compromising our own beliefs and opinions? Many times, we only need to listen. Think of this day as a gift to yourself that you’ve been waiting and wanting for months. This last day of September, offer your soul and your battered humanness a day of rest. Just one day. You can give yourself that. Nothing more. Nothing less. You deserve the peace that comes with stillness. Where you rediscover the way the shadows and the light dance with each other. When you remember the taste of coffee and you savor it rather than using it as a way to drown out your tiredness. When you can hear the intake of your breath and feel the tension ease with every exhale. Close your eyes. What do you hear? A ticking clock in the hall? The call of crows in the yard? The dog’s sigh in his sleep? Your heart needs rest. Your body and mind need it too. Give yourself a moment. A day to remember who you are and why you are here. When you truly love yourself, you can fully love others.